LeasePlan Corporation N.V. announces at the UN Climate Change Conference (COP23) in Bonn, Germany, the launch of its electric vehicle pilot program for corporate companies. The launch of the pilot program marks another step in LeasePlan’s ambition to achieve net zero emissions from its total fleet by 2030. 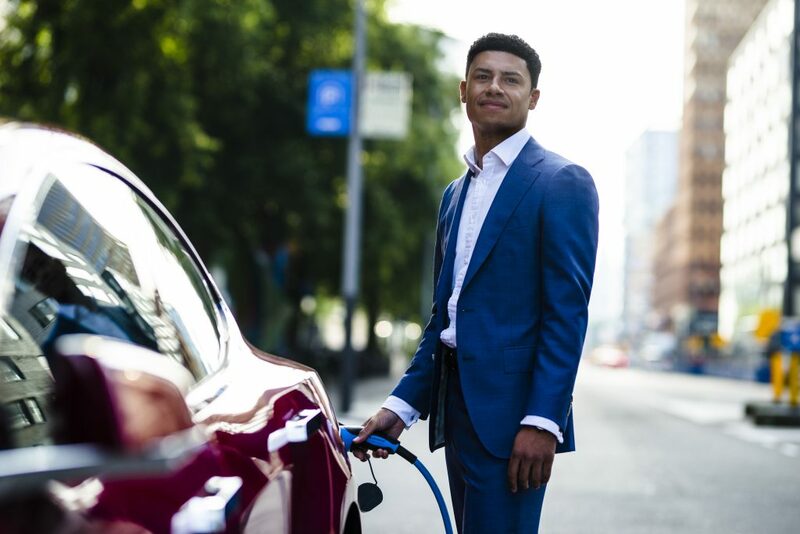 LeasePlan’s new electric vehicle pilot program is designed to make it as easy as possible for the growing number of companies that want to make the switch to low-emission vehicles. The pilot is fully scalable: customers choose how many electric vehicles form part of the pilot. LeasePlan will also facilitate the implementation of charging infrastructure at customers’ offices and employees’ homes. Wherever possible, LeasePlan will work with partners to ensure the charging infrastructure is supplied with 100% renewable energy. Carbon offsetting will also be available for the non-electric cars that do not form part of the pilot. We see an increasing demand for electric vehicle fleets from corporate companies that want to lower their overall emissions and help tackle climate change. As part of our 2030 Sustainability Strategy, LeasePlan is fully committed to helping these customers make the switch. We’re therefore delighted to be launching our electric vehicle pilot program for large corporate organizations here at the UN Climate Change Conference in Bonn. Making the switch to an electric fleet is one of the simplest ways for companies to rapidly lower their emissions and help tackle climate change – and we are committed to facilitating those companies that want to make the transition. Today’s announcement marks another milestone in LeasePlan’s sustainability strategy, which aims to achieve net zero emissions from the total LeasePlan fleet by 2030. Leading the development of a sophisticated second-hand car market of well-maintained, high-quality lease vehicles; and transitioning LeasePlan’s own employee fleet to an electric vehicle fleet by 2021. LeasePlan is one of the world’s leading fleet management companies, with 1.7 million vehicles under management in over 30 countries. Our core business involves managing the entire vehicle life-cycle for our clients, taking care of everything from purchasing, insurance and maintenance to car re-marketing. With over 50 years’ experience, we are a trusted partner for our corporate, SME, private and mobility service clients. Our mission is to provide what’s next in mobility via an ‘Any car, Anytime, Anywhere’ service – so you can focus on what’s next for you. Find out more at www.leaseplan.com.